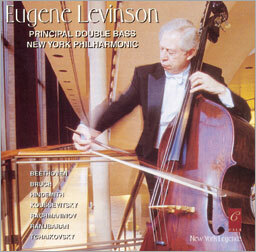 Cala Records presents the first in a twelve compact disc series New York Legends, featuring Eugene Levinson, Principal Double Bass from the New York Philharmonic. Regarded as one of the finest players in the world, this disc is testament to his virtuosity and flawless musical control. This recording was made to reflect Mr Levinson's strongest artistic convictions as it surveys the most creative Double Bass music in the repertory.